Rebecca knows that things have been rocky between her mother and father for some time now, but she doesn’t know how bad things really are until her mother packs her up – along with her younger brother – and drives to Rebecca’s grandmother’s house in Atlanta. In a new city and at a new school is not where Rebecca wants to be, but there is something that makes up for the inconvenience, at least a little. Shortly after arriving at her grandmother’s house, Rebecca finds a bread box in the attic. It quickly becomes apparent that there is something magical about the bread box when things Rebecca wishes for begin materializing inside of it. Soon Rebecca will find out, though, whether getting everything you want is really all it is cracked up to be. 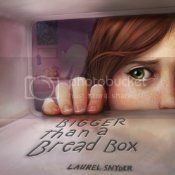 I really enjoyed Bigger Than a Bread Box. Rebecca is a great character, just the right mix of stereotypical preteen and good who just wants to do the right thing. If Snyder had gone too far in either direction Rebecca might have been a bit hard to stand, but as it was, she was very sympathetic. The structure and pacing are just right, as well. The story always moves along when it needs to, and never before, making Bigger Than a Bread Box a highly satisfying book. This audio is self-published and read by the author, and it is GREAT! I’m not sure whether Snyder just had a great director (she at least had a very proficient producer) or whether she just has a natural facility for narration, but she voices Rebecca with a confidence that many authors-turned-narrators lack. Her voice is youthful and vibrant, and she knows her book so intimately that she captures Rebecca’s myriad emotions beautifully. 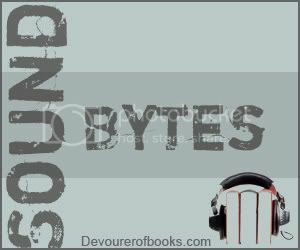 I’ve previously always been skeptical of self-published audiobooks, but Snyder proves that it can be done very well – although it likely helps that the book was originally published by Random House’s Yearling imprint. I imagine it would be wonderful in print, but it was delightful in audio.